2016 marks the 30th anniversary of Fringe Furniture, the longest running event of the Melbourne Fringe Festival and one of the longest running design events in Australia. In this momentous year, artists are being encouraged to submit work that embraces the experimental and creative roots of Fringe Furniture, looking at the past to imagine and articulate the future of design. Fringe Furniture is a showcase exhibition of furniture, lighting, homewares, wearable objects, permanent and ephemeral works. Established as an experimental playground, which has become a standout exhibition of emerging market-ready design, Fringe Furniture has provided an exciting platform for artists and designers for the last three decades. Artist and designer, Bruce Filley conceived Fringe Furniture in 1986 with a vision of establishing a public forum that presented alternative ideas in furniture design. “We wanted to challenge preconceptions, step on toes, break rules and have fun. We wanted to alienate and to inspire. And we wanted to be noticed,” he says. Fringe Furniture is an open-access event, meaning that anyone can register to exhibit work. This open-access policy results in established and emerging designers coming together, with a combination of experimental and functional works and the presentation of fresh ideas alongside refined forms. The breadth of talent and skill that Fringe Furniture attracts can genuinely be considered a barometer for the city’s vibrant and cutting-edge design community. Throughout its history, Fringe Furniture has continually interrogated this vision by showcasing contemporary works that push boundaries and offer new possibilities. In 2016, artists are being encouraged to submit work that embraces the experimental and creative roots of Fringe Furniture, looking at the past to imagine and articulate the future of design. Melbourne Fringe are also encouraging artists and designers who have participated in Fringe Furniture previously to get in contact to take part in 30th anniversary activities or submit work to this year’s exhibition. Applications open on Monday 30 May and close Monday 27 June 2016. Fringe Furniture 30: Redesign invites designers at all stages of their careers and working in all forms, including furniture, lighting, homewares, wearable objects, permanent and ephemeral works. Fringe Furniture is a space for emerging and established designers to present their work side by side, to test new ideas and showcase exciting, original design. 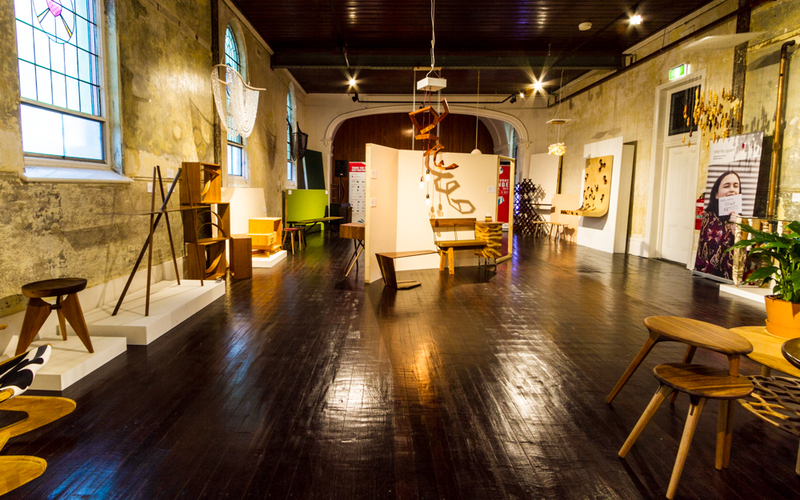 Fringe Furniture is proudly supported by the City of Yarra and Abbotsford Convent.